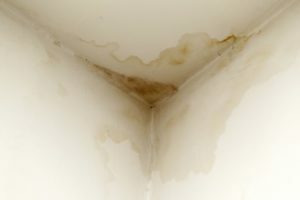 Neglecting your plumbing can ultimately lead to costly, extensive water damage. Make sure to prevent it before a problem even begins. When water damage occurs in your home, it’s one of the most costly events to repair. Having a set of tools and methods in mind to prevent such an event will help ease your mind and save you money. Follow this guide for preventing water damage in your home. Technology helps impact our relationships with our homes in a major way. When it comes to water damage, you can employ the use of sensors to help alert you to potential leaks. This will put more power in your hands because you’ll be able to catch the problem before it becomes a larger threat. Leak sensors are essentially devices that you will place throughout your home in areas that leaks would occur, like your sink, washer, water heater, and the floor in your basement. When your utility bills come in, don’t just blindly pay them and move on. Really examine the numbers and if you notice an unusual increase in your water bill, it could be a sign that you have a leak somewhere in your home. Since pipes run through your home like veins, you won’t be able to see them all. The spike in your bill could mean that it’s time to have a professional take a closer look, especially if your usage has remained the same. Using a sump pump and assessing your drainage system is an important step toward preventing water damage in your home. Be proactive at least once a year in making sure that your system is clear and operating correctly. There are many scenarios that occur when water damage happens as a result of situations that are out of your control. However, there are things you can do to minimize the possibility of water damage; the first being properly discarding grease after you cook. If you do notice your sink draining slowly, use a drain snake or other liquid product to help release the blockage as soon as possible. If possible, steer clear of chemical-based products as they will often do more damage than good. This entry was posted on Friday, November 16th, 2018 at 3:24 pm. Both comments and pings are currently closed.